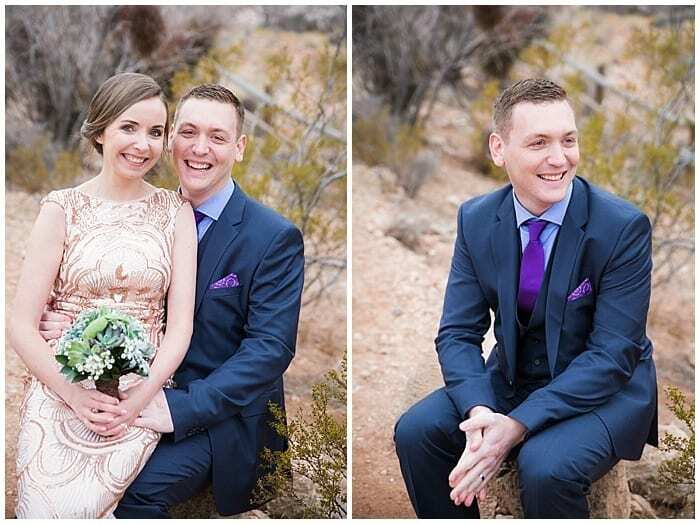 Meet beautiful couple Anita and Brian, native of Ireland, but hailing from Auckland, New Zealand. After having met through mutual friends 5 years ago, this couple was ready to make it official. They both wanted a location that would be simple and elegant. 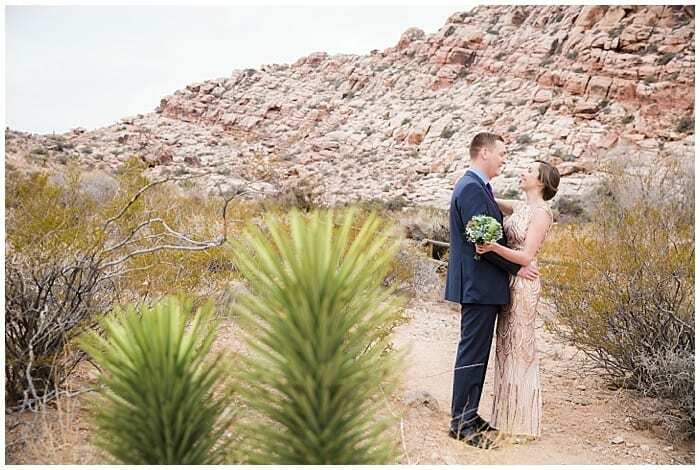 The couple spoke with Cactus Collective’s own McKenzi Taylor from Taylored Photo Memories. 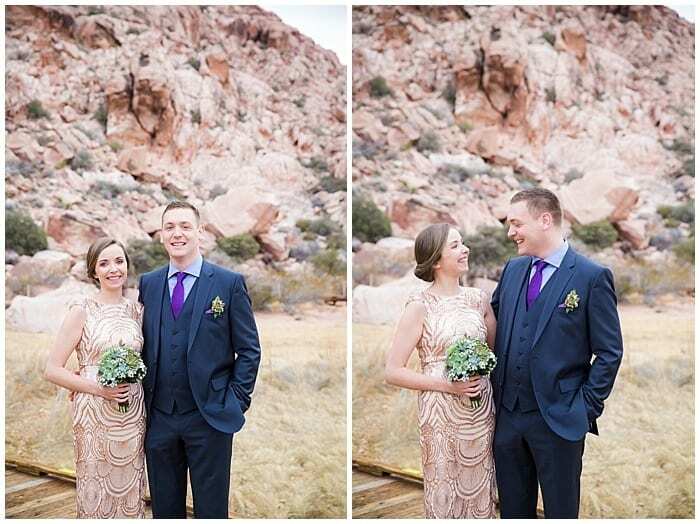 Following, they decided that Calico Basin at Red Rock Canyon would be a perfect. After seeing photos of the area, they became convinced that this location would provide an ideal backdrop. 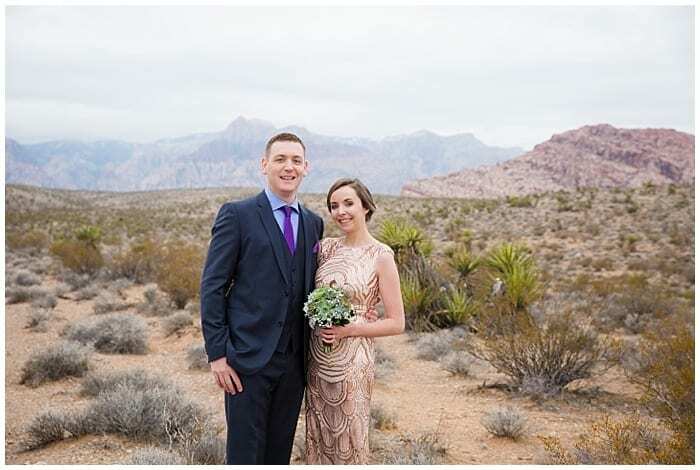 This beautiful, scenic site offers simplicity and intimacy, perfect for a Las Vegas elopement. 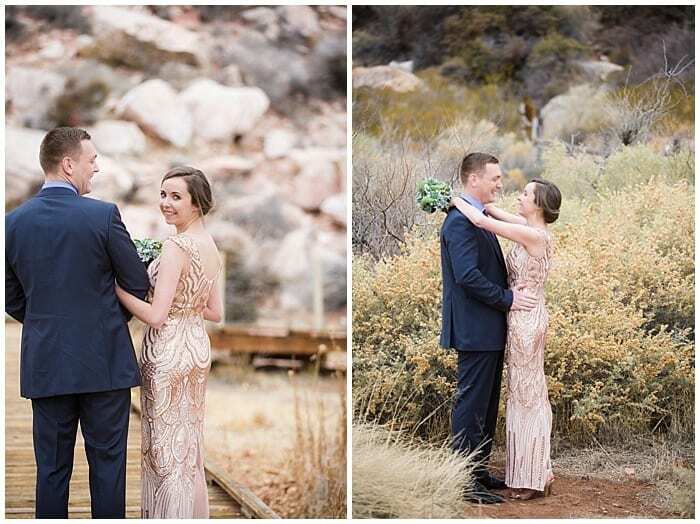 Appreciative of the outdoors, Anita and Brian followed their hearts, as well as suggestions and recommendations from the Cactus Collective crew and chose this spectacular location to start their married lives together. The weather was cool and crisp, as it tends to be during the Las Vegas winter months. However, even with the chill in the air, this couple’s hearts were warm with love for each other. Each photo taken perfectly captured this couple’s affection for each other. Choosing December 31, 2016, this couple made the most of their New Year’s Eve, ringing in 2017 as husband and wife. Great backdrops were provided by the boardwalk and natural elements, and from which special moments were captured. They also chose to visit the city center. They did not want to let their Las Vegas elopement experience or time spent here go undocumented. 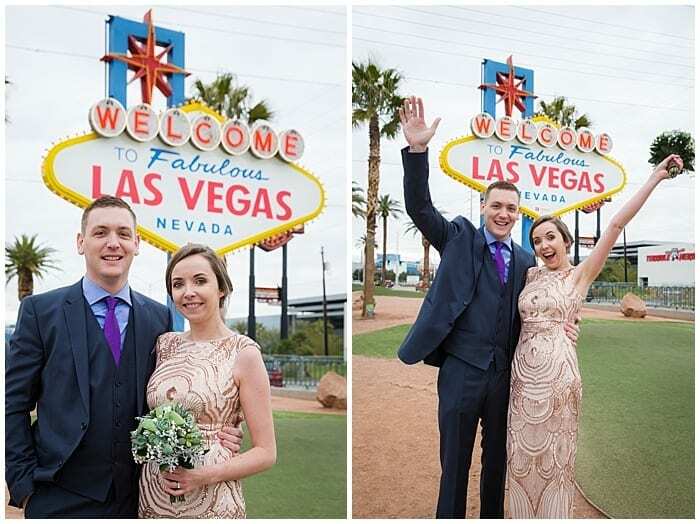 For this reason, they chose to also take photos at the world-famous “Welcome to fabulous Las Vegas” sign. 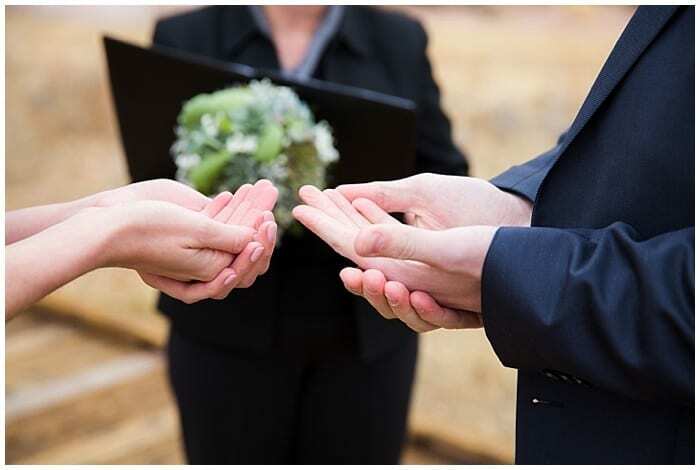 Many think of a Las Vegas wedding as one that is officiated by an Elvis impersonator at a drive-thru chapel. However, many locations in and around the Las Vegas valley offer unique and serene settings. These settings differ from that which is expected of a Las Vegas elopement. Calico Basin at Red Rock Canyon is one of these locations.